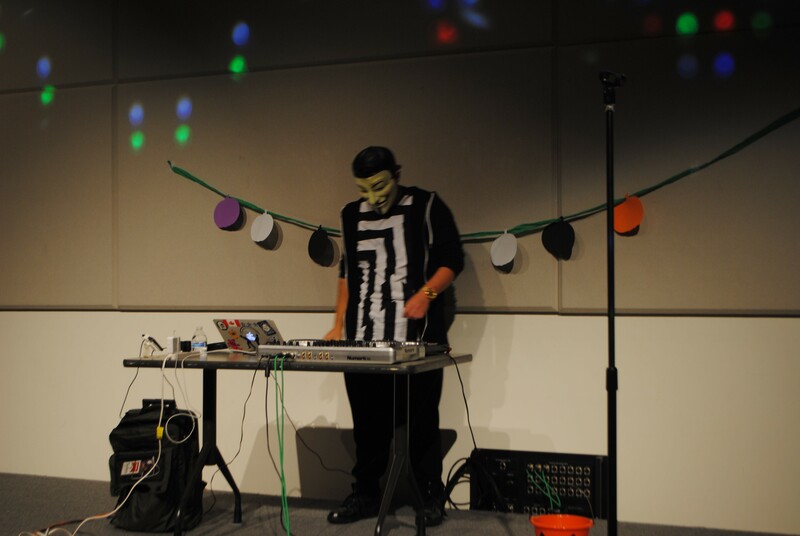 On October 30th, the students of Shoreline Community College gathered on campus to celebrate Halloween. Organized by the International Peer Mentors (IPMs), the party went really well. 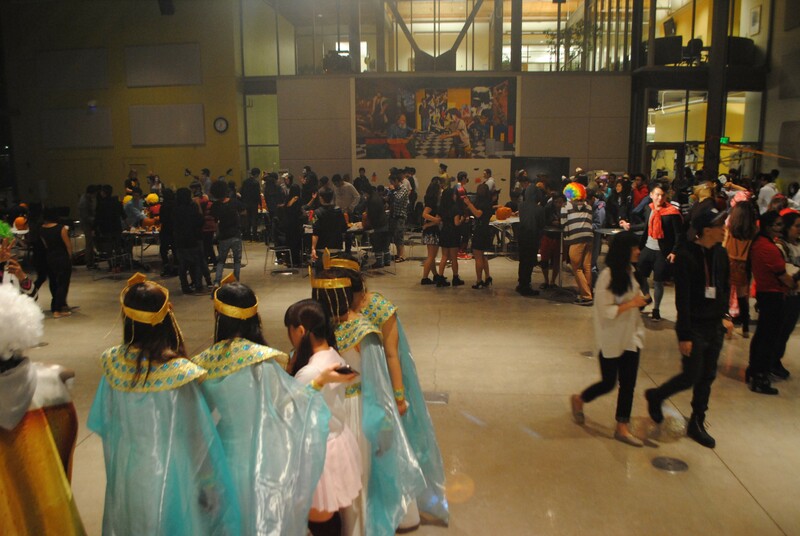 At about 6:00 p.m., students began gathering in the PUB (Pagoda Union Building) and enjoying each other’s creative and colorful costumes. 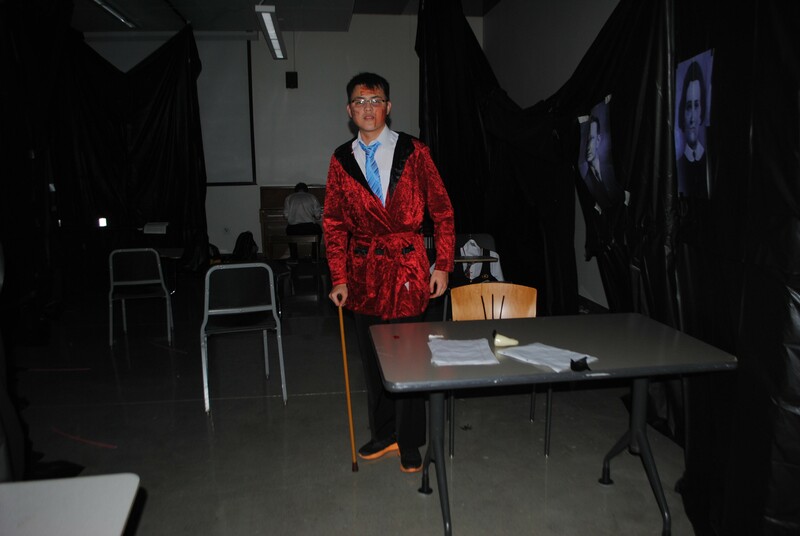 Over 100 students, as well as some staff and faculty members, attended the party. The organizers provided a variety of snacks and drinks for everyone. 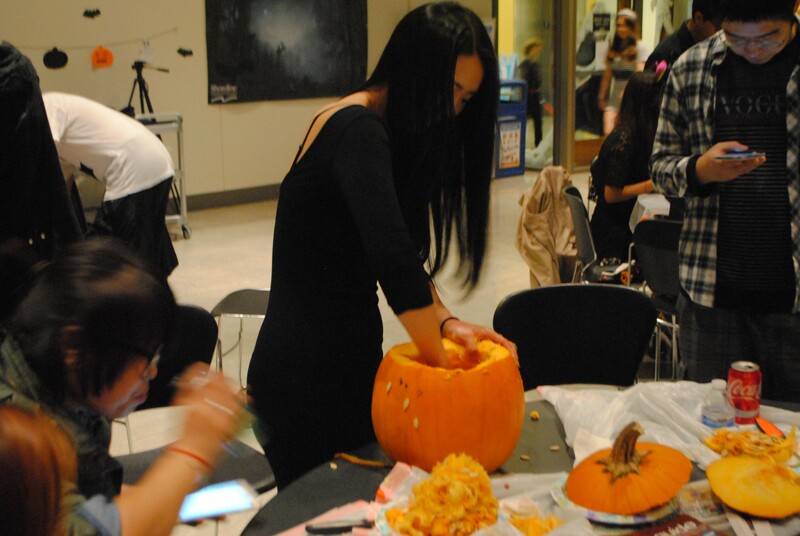 They also gave several pumpkins to the students for the competition of the most creative carving design. 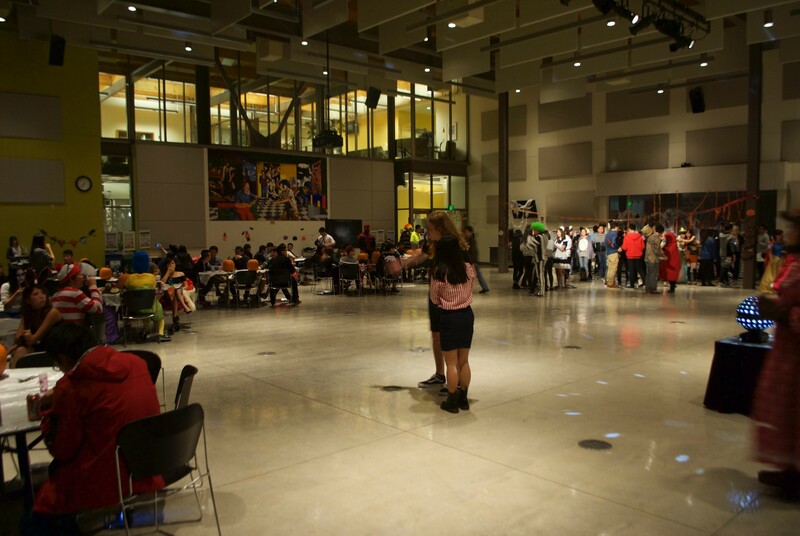 At 7:00 p.m., the lights of the Main Dining room went off for the amazing dance, with a great music mix played by students DJs, Wayne from Taiwan and Junya from Japan. 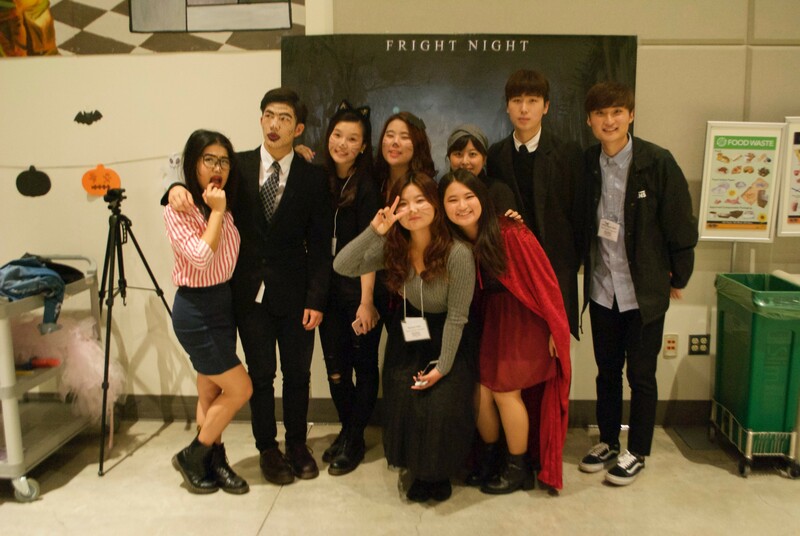 Meanwhile, the Adventure Builders Club and Indonesian Students Community presented a haunted house where students witnessed the story of a murdered family. Back to the Main Dining room, the dance paused for the toilet paper mummy competition, where students formed themselves in groups and wrapped one their teammates in toilet paper. 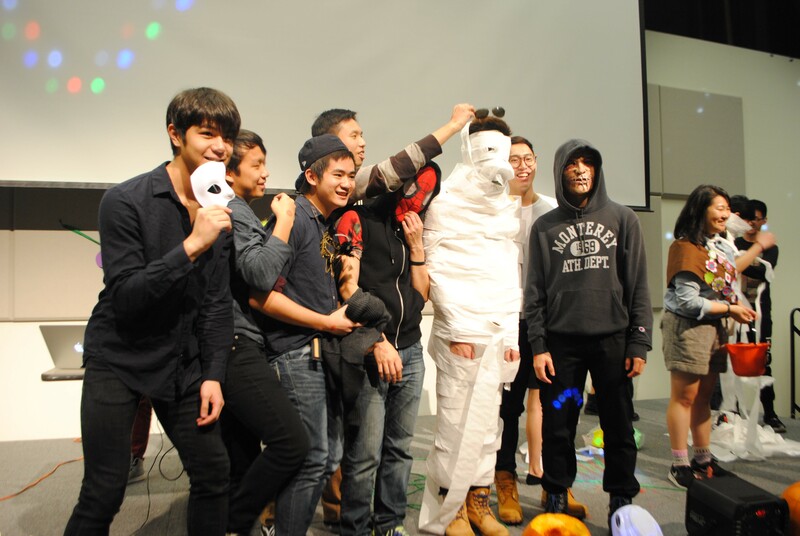 The goal was to make a mummy out of toilet paper as fast as possible in order to win a prize. 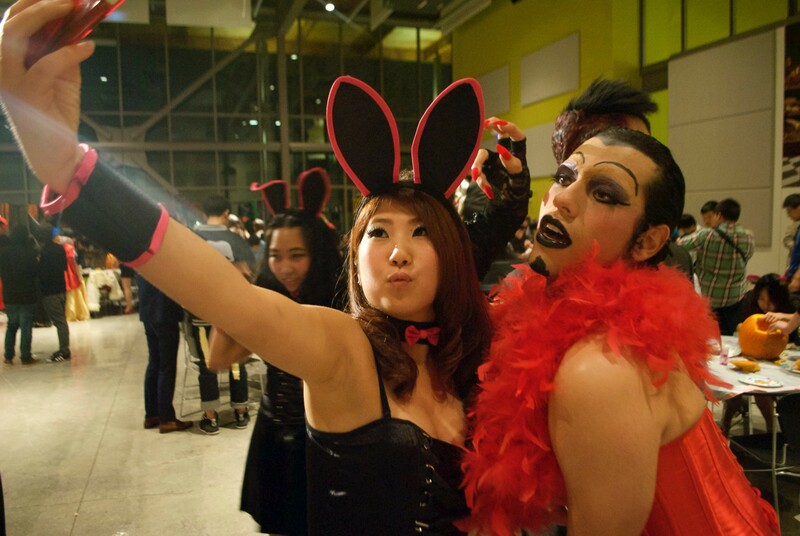 At the end of the party, the IPMs announced the three best costumes and gave prizes to them. Japanese Cultural Festival at Shoreline!